Our mission is to improve quality of life and to maintain individuals in their preferred home environment in the community through nutrition programs, Health & Wellness Education, Adult Day Program, and Information and Referral. Senior Services, Inc. has provided services to seniors and adults with disabilities residing in Northern Rhode Island since 1975. In accordance with the Congregate Meal Program financed through a grant with R.I. Department of Elderly Affairs, Senior Services, Inc. provides nutritionally balanced lunches five days a week at our meal sites throughout northern R.I.
Senior Services, Inc. offers activities, entertainment, computer classes, and Wellness programs, including our weekly blood pressure clinic and exercise classes. 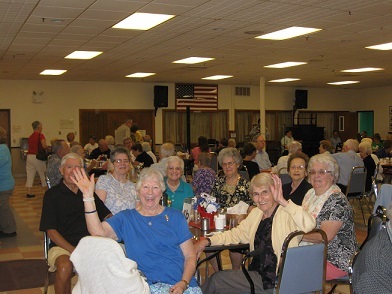 Senior Services, Inc. also offers an Adult Day Program ("A Home for the Day"), and a Community Information Specialist who can provide information on eligibility for all state and local programs.